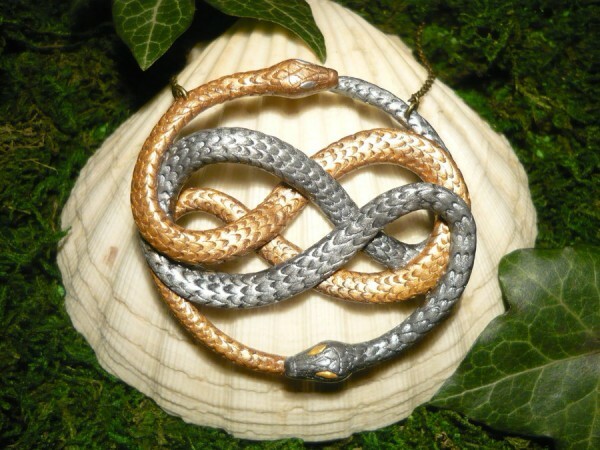 Beautiful Neverending Story AURYN Necklace « Adafruit Industries – Makers, hackers, artists, designers and engineers! Sometimes you have to go the more casual route for cosplay. Maybe you’re planning to do a a Disney Bound-style look, an everyday version of a costume for a party, or a take that makes it easier and more comfortable to walk around a convention all day. Whatever the reason, you can dress up your casual costume with accessories. They’ll help provide clues about who or what you are. 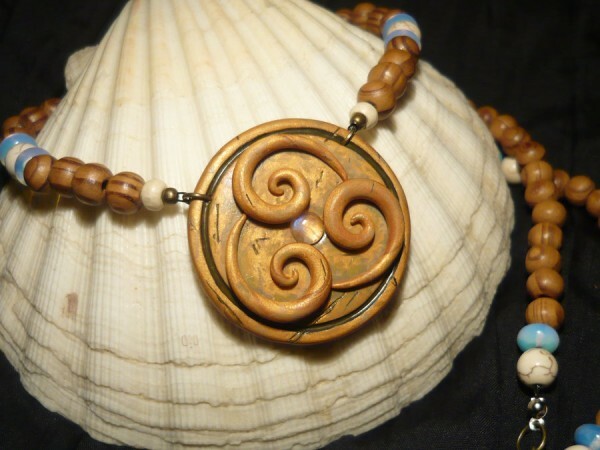 For example, if you want to be the Childlike Empress from The Neverending Story without putting on an elaborate headpiece, you could don a white dress, pearl earrings, and add a necklace depicting AURYN — like the one pictured above. Marika Schirmacher sculpted the piece, and it’s beautiful. “Its about 7cm in diameter, so its original sized. Its completely hand-sculpted from silver and golden polymerclay, then covered with a thin layer metallic pigments and protective varnish. 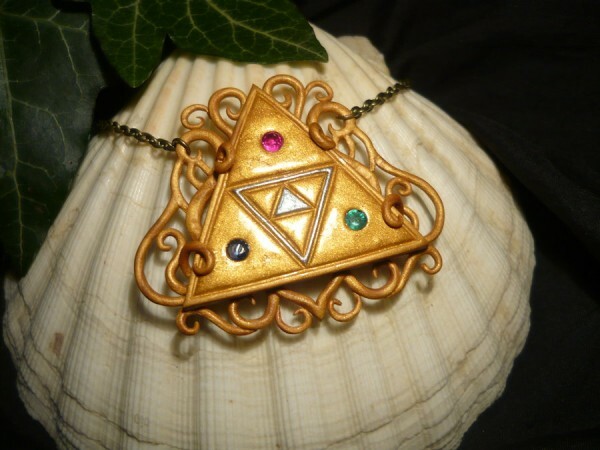 She sculpts a variety of other necklaces too. Examples from Avatar: The Last Airbender and The Legend of Zelda are pictured below. See more of Marika’s work at DeviantArt.